A brand-new exterior profile, new engines and an array of new driver-convenience technology make the Mokka X a compelling option for fans of Vauxhall’s acclaimed crossover SUV. Highly competitive fuel economy and carbon emissions figures, along with IntelliLink​ System, only strengthen its appeal. The Mokka X is now available, so get in touch with us today for further information. Vauxhall’s designers engineered a more dominant look for the Mokka X, with sharper headlights and LED daytime running lights accompanying a more chiselled fascia and front grille. At the back, new lights and a redesigned rear bumper emphasise the new edition’s more vigorous character. To complete the exterior look of the Mokka X, the ecoTEC models come with a 17" alloy wheel as standard, whilst the non-ecoTEC models are furnished with an 18" alloy wheel. On the inside, the dashboard has been completely redesigned. The Mokka X has benefited from an array of enhancements over the original Mokka, such as the addition of a 7" or 8" touchscreen infotainment system. This simpler layout is both a functional and aesthetic improvement, whereas the new front foglamp design and dark tinted rear windows with chrome surround gives the vehicle more of a visual appeal. Along with its impressive looks, the Mokka X also features a petrol and a diesel engine to suit your needs. A turbocharged direct-injection petrol unit is available across the range, and it packs a considerable punch. The large IntelliLink Navi 900 touchscreen, that has been ergonomically designed for ease of use, keeps you in touch with the outside world. 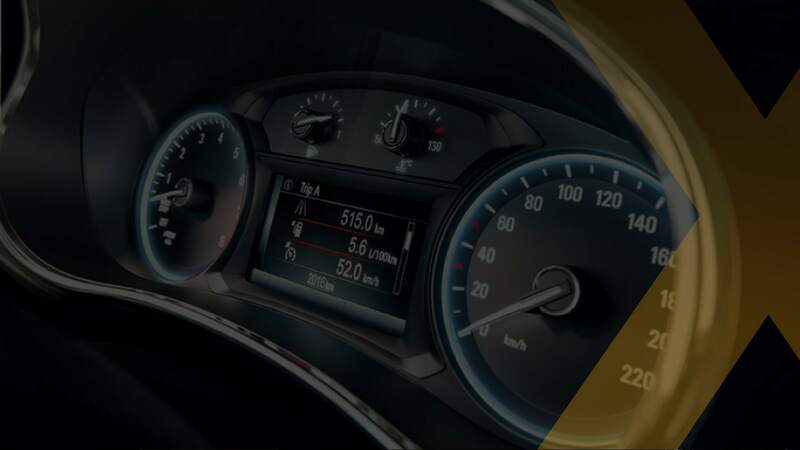 Bluetooth® functionality is standard on all specifications, meaning that you can receive phone calls at those important times, allowing you to focus on the road. A sophisticated and user-friendly satellite navigation system allows you to both plan a route to your destination and to avoid traffic. The system also helps to keep you entertained while you drive, offering access to different audio sources including digital radio, MP3 and a USB device such as a mobile phone or iPod. There’s nothing like having great connections. With OnStar, you’ve not just got premium connectivity with a 4G Wi-Fi Hotspot, but a personal assistance service too, available 24/7, 365 days a year. All OnStar services and Wi-Fi services will cease to be available on December 31st, 2020. 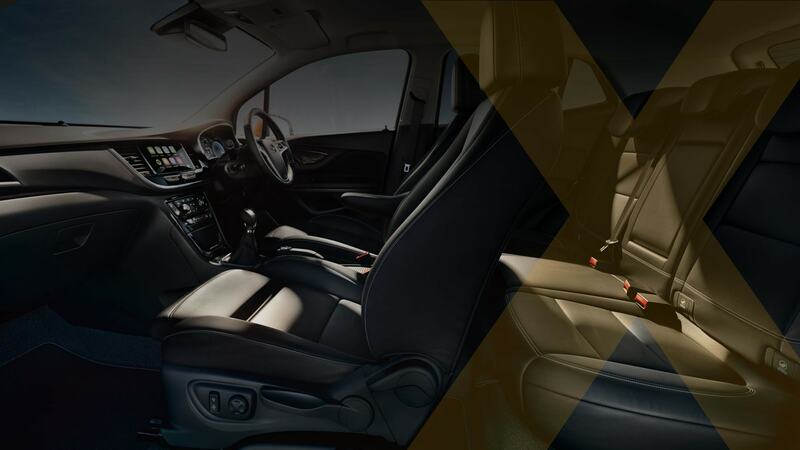 The Mokka X’s well-appointed interior has more than enough space for five passengers, whilst the pliant suspension and excellent body control keeps passengers comfortable even on long journeys. Higher trim levels offer particular luxury – the Elite, Elite Nav and Ultimate specification boasts such luxuries as heated leather seats, a heated leather steering wheel, and tinted rear privacy glass. The petrol engine with Start/Stop functionality, as well as delivering sprightly performance, also impresses in terms of efficiency and low environmental impact. The diesel option is even more efficient. The diesel with manual transmission and Start/Stop is the most frugal of all, returning superb combined fuel consumption and low carbon emissions, meaning the Mokka X is not just great to look at, it's a great drive too. For more information on the vehicle's efficiency, then please download our latest brochure today. Design Nav and Elite Nav models also give buyers an 8" touchscreen complete with the IntelliLink system. Model featured is Mokka X Elite 1.4 140PS on-the-road. Images may contain options and/or accessories at an additional cost, including Brilliant or Metallic paint. Exterior paint colour will be dependent on screen resolution. Please consult the latest brochure and price guide for more information on vehicle content, specification and pricing, or contact us for further details. *The OnStar Services rely on wireless communication networks and satellite positioning systems. Some features may not be available in certain foreign countries, for certain car lines or trim levels.